Let our qualified staff arrange your Malaga airport transfer to Granada you deserve quality transfers at the best possible price, Pre-book your taxi to Granada for €133 and simply pay your driver after each journey, if you would prefer a larger sized vehicle we can arrange for a minivan for up to 8 passengers for €199, remember all our taxis & minibuses are private so you do not have to share with anyone else. Granada is a mid-sized city located in the southeastern region of Spain between the Mediterranean and the Andalusian Hinterland located at the foot of Sierra Nevada, the highest mountain of the Iberian Peninsula. Rich in history (more than a thousand years) and culture, Granada is arguably the most worthwhile city in Spain for a tourist to visit. 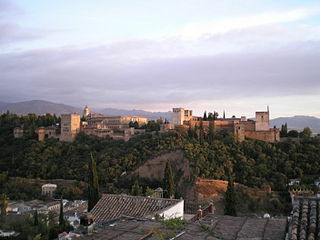 The history of Granada is one of the most fascinating of Spain. The town has been settled by moors for nearly eight centuries and was the last Moorish town to be conquered by the Christians in 1492. 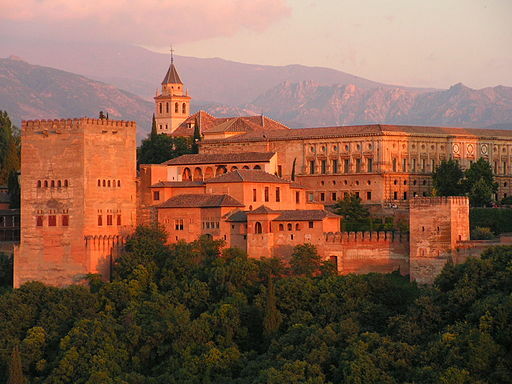 This interesting history is still very visible in the town where you can find famous monuments like the Alhambra, & Generalife and the historical Moorish Albaicín, the Sacromonte, Cathedral, Capilla Real, Monastery of La Cartuja, Monastery of San Jerónimo, Parque de las Ciencias (Science Park). Granada is the opposite of most cities in that in the holidays it is much quieter than at other times. The reason for this is that the students go home to their pueblos and in the summer many people go to the beach. Granada is home of the “tapas art”. With your drink you will receive a free piece of its succulent cuisine. The most famous Tapas areas are: Albaicín, Campo del Príncipe, Realejo, Plaza de Toros y Zona Centro, Enjoy. Pre-book your Granada transfer from Malaga airport and you are guaranteed safety, comfort, punctuality and all this at a great rate, all our transfers are door to door and private so you do not have to share with any one else.